The phrase ‘arm balances’ can strike one of two emotions in us: Love or fear – which are basically the two human emotions all our thoughts, actions and reactions stem from…. For those who find arm balances fun and accessible, Kakasana and maybe even Bakasana don’t seem to require too much physical effort. To those who shudder at the thought of balancing their body weight precariously upon two hands though, this is in fact exactly where you need to be…. Once we’ve been practicing for a while, have built up some physical strength, and – more importantly – body awareness, postures like arm balances begin to seem more and more attainable. If you have the strength to hold Adho Mukha Svanasana (downward facing dog) comfortably, Plank,and Vasisthasana (side plank) without wanting to cry, then you more than likely have the physical strength to hold yourself in ‘crow pose’ or ‘crane pose’. However, while the body may be strong enough, these elusive postures have far more to do with strength of mind, and the ability to observe ourselves as we move towards a challenge. When we step onto a Yoga mat for the first time, no one warned us about the Pandora’s box we’re about to open. While the first few classes may – for some – have felt entirely the opposite from ‘relaxing’, which probably wasn’t made any easier by the fact that the teacher was speaking in an entirely different language (Sanskrit), there does come a time when we move through the first layer of our Yoga experience, and something equally as scary meets us on the other side…. This other thing waiting for us as we unassumingly sweat and breathe and bend and twist our way to supposed enlightenment is called our selves – specifically our ego…. That thing that always told us we weren’t ‘good enough’, ‘strong enough’, ‘thin enough’, ‘clever enough’ and even ‘happy enough’…. And it’s there to meet us for a reason…. “Practicing Yoga does not eliminate life’s challenges, and neither does it provide us with a convenient trap door to escape from life’s distractions. 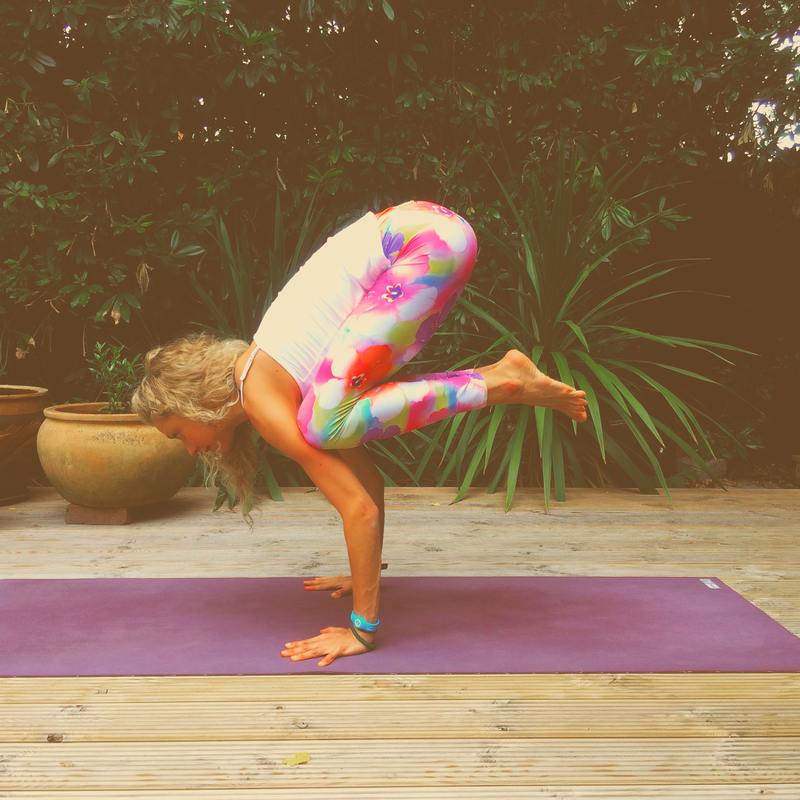 Instead, Yoga gives us the skills to meet life head-on with dignity and poise” and might I add – courage…. Yes it’s all very well sitting on a mat, eyes closed and hands in an apparently special position, waiting for class to finish before the parking meter runs out…. And we can continue to do this for years, practicing postures we like, ones that make us look good in class, and ones we ‘can do’, yes we can continue to practice Yoga on the surface…. But what happens if we go beneath the surface? Towards something more important than expensive leggings, more important than…. What happens when we’re faced with ourselves, and we don’t actually like what we find? Practicing without trying to block anything out – this includes judgement, fear, doubt, excitement, egotistical ‘look at me’-ness, and sheer boredom – allows us to actually be ourselves when we practice. And if we want Yoga to actually have an effect; to get into our body and mind and yes, even soul, then we have to actually be ourselves. Ekhart Tolle isn’t thought of as an ‘enlightened being’ because he wore Lulu Lemon leggings and drank over-priced coconut water between classes, he ‘found it’ on a park bench, and continued to sit there for two years. Because that is when ‘it’ comes; when we stop looking for who we ‘should’ be, and become ‘who we are’, whether we’re sitting on a park bench, an office or a meditation cushion. So, you’re invited to practice Kakasana (crow pose) and Bakasana (crane pose) with all the doubt and fear and “I can do it! !” and “ouch” that might come up. Because this is how we learn about ourselves; when we take ourselves out of our comfort zone; when we realise there’s more to life than the office, the supermarket, Saturday night TV and looking good in a once-a-week yoga class. This is when we realise that we are on a ‘journey’ of self-discovery, and the first thing to discover is that those doubts, fears and egotistical self-celebrations come and go depending up on the situation, they impermanent, fleeting, and are infact not us, they’re the ego…. Often referred to as ‘Bakasana’, Kakasana is actually ‘crow pose’, and it may be a little more accessible for those newer to the practice, as the body’s center of gravity is closer to the ground and the stance is a little wider, making it slightly easier to balance. From Malasana, place the hands on the floor just in front of you, shoulder-distance apart. Turning the palms slightly outward (externally rotating the arms a small amount) can help the weight to spread more evenly through the hands, increasing the foundation of the asana, and decreasing the risk of wrist injury…. It’s very important to cultivate hasta bandha, and you can read more about that (and about ‘cupcake hands’….) HERE. Bend the elbows so they provide a ‘shelf’ for the knees – a little like you may bend the arms when practicing chatturanga. Squeeze the knees into the upper arms and lift the pelvic floor – this will help the whole core to wake up, as holding the posture for any length of time requires strength in the core a little more than the arms. Look slightly ahead – as though the hands were the bottom two corners of a triangle; look to the top of the triangle. Ensure you keep the back of the neck long, and lead with the chest not the chin! Reach the chest forward, gradually bringing more weight into the hands until you feel ready to lift the toes of one foot off the floor. Replace the foot back down and swap feet to practice what it feels like to almost be in the posture. If you feel ready to – lift both feet away from the floor. This really ‘should’ be a lift, posture like this are dangerous to jump in and out of without a huge amount of shoulder and core stability. For this posture, it’s not essential that the toes touch (is it ever really ‘essential’ for them to touch at all?) The focus is all about feeling what it’s like to hold your own body weight, and maintaining the weight in the finger pads and knuckles, not the wrists! Stay here for – well, let’s be honest – as long as you’re comfortable with, and then carefully shift the weight back and bring the feet back to the floor to return to malasana. Rest, BREATHE and observe your mind before practicing again. For women the center of gravity is in the hips, and for men it’s just above the navel. This may explain why males often find arm balancing a little ‘easier’ than females, as the ability to balance depends largely upon getting the center of gravity over the foundations (in this case, the hands). Turning the palms slightly outward (externally rotating the arms a small amount) can help the weight to spread more evenly through the hands, increasing the foundation of the asana, and decreasing the risk of wrist injury…. It’s very important to cultivate hasta bandha. Lift the hips slightly, and bring the knees right up into the arm pits, or as close to as you can. In this posture, the knees rest right on the backs of the arms, instead of squeezing the outsides of them. It’s so important in these postures that the hands are ‘active’ – and there’s a definite cultivation of ‘root-to-rise’; the principle that if we have firm, stable foundations and we active press downward through them, this will create a natural ‘lift’ up through the body, and it may actually feel a lot ‘lighter’. This is sometimes also known as the ‘rebound effect’; when energy is purposefully projected down, it creates an upward thrust back through the structure. The spine is rounded here, but that action is balanced by maintaining an open chest and wide collarbones. Bring the heels as high up to the hips as you can, and bring the big toes to touch. The traditional full expression of Bakasana is shown with the arms straight, which requires a lot of practice, strength and self-belief….Still working on it! Other than our mindset, another aspect that could sometimes prevent us from reaching the full aesthetic expression of an asana is the way we’re made – our anatomy or body proportions. If we’re going to be blunt about this; the majority of people practicing these postures when they first came about were young Indian men, and with the majority of people practicing Yoga in the world right now being female and ages between 18 and 44, it’s fair to say that young Indian men and middle-ages western women have quite different body types. The length of our arms and legs, weight of the pelvis, center of gravity, size of upper body and construction of the hips all have a huge part to play in how accessible we’ll find certain postures, and arm balances are particularly dependant upon a certain set of qualities. Core and upper body strength, shorter legs, small frame and a center of gravity that more easily brings itself over the foundations (either the feet, hands or head depending upon the posture) are likely to all make those more ‘challenging’ asanas a little easier. That said though; take a look on instagram these days and you’re more likely to stumble upon photos of tall, long-limbed females in ‘impressive’ postures…. Which probably goes to show it’s as much about practice and patience as it is about genetics…. If you find it difficult to bring the knees to the upper arms, step onto a block or something else which will safely provide a perch for your crow to fly from (sorry, couldn’t resist….) This will essentially bring the knees higher for you, and can provide that much needed initial lift. This also helps if your arms are somewhat shorter in proportion to your torso and legs. Lie on the back and practice jathara parivrttasana (revolved abdomen pose, or a supine spinal twist) to recalibrate the spine, and relax the hips completely. Circle the wrists clockwise and anti-clockwise a few times to ease out the wrists. Lie in savasana for a few minutes, and observe how your mind acted or re-acted throughout the practice.